According to letters from the Speaker's grandson and donor of the portrait, this is the original painted by Pickersgill for the Speaker's daughter: 'Evelyn Denison, when Speaker, asked my mother … to let him put the original painting by Pickersgill in the Speaker's House. She declined to part with the original picture which was painted for her and for which "my father Richard Sanderson had paid Pickersgill", but she allowed a copy to be made which hangs in the Speaker's House' (letters from Rev Canon Edward Manners-Sanderson in NPG archive); this copy was made by F. P. Graves in 1864 and presented by Speaker Denison in 1869 (Palace of Westminster Catalogue No.47). Another version, also by Pickersgill, belonged to the Viscounts Canterbury until the peerage expired in 1941 when it passed to the Speaker's great-grandson, Edward Bright of Sherfield House, Basingstoke. 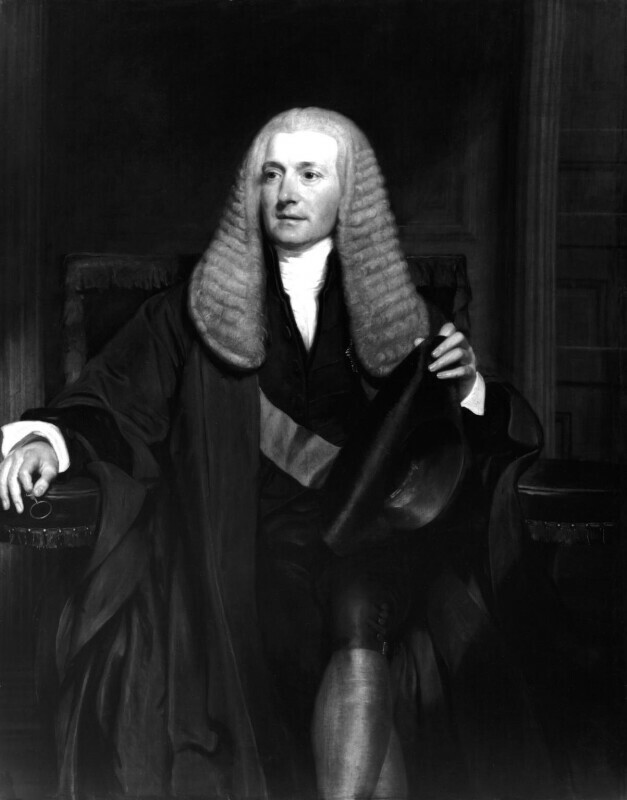 Nearly whole-length seated in grey wig, black gown over court dress, Ribbon and Star of GCB, eyeglass in right hand, Speaker's black three-cornered hat in left; brown eyes, fresh complexion. Painted for the Speaker's daughter Charlotte (Sanderson); her second son Lord Sanderson and at his death in 1923 to her fifth and youngest son the Rev Canon Edward Manners-Sanderson who gave it to the NPG in the same year. RA 1833 (33); on loan to Royal Courts of Justice since 1958. Mixed line and stipple by Freeman 1833; mezzotint by Samuel Cousins 1835 (four published states).